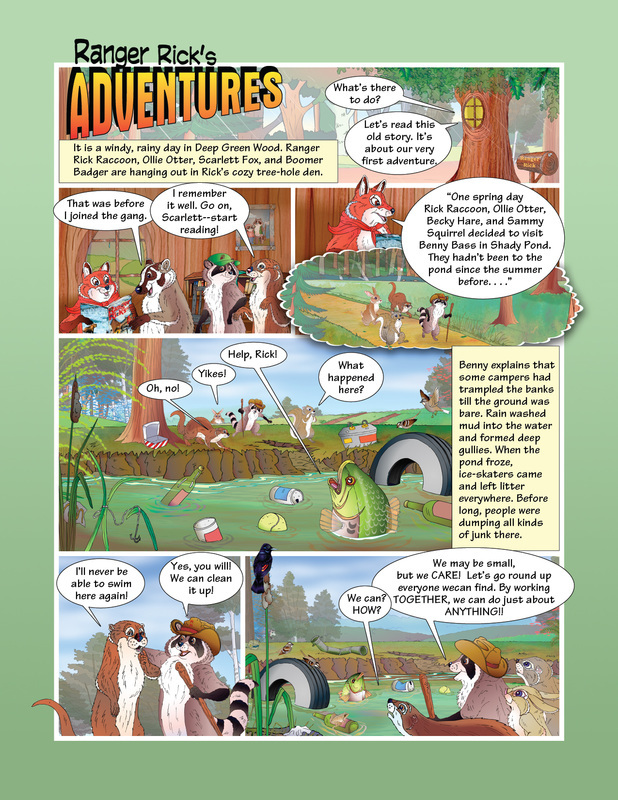 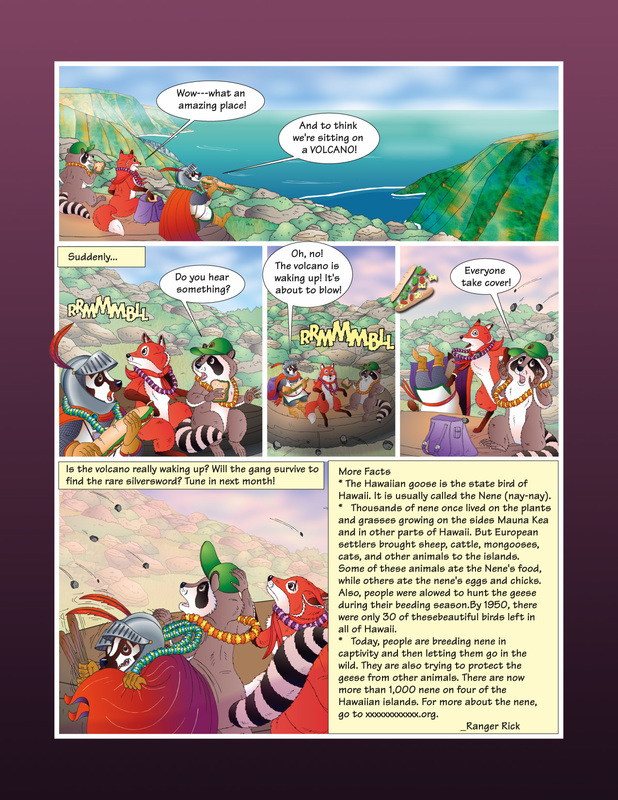 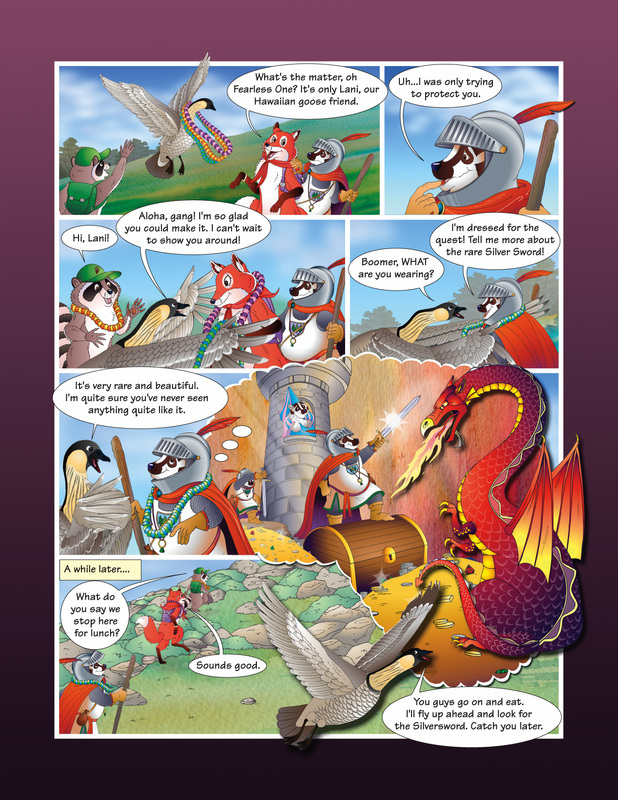 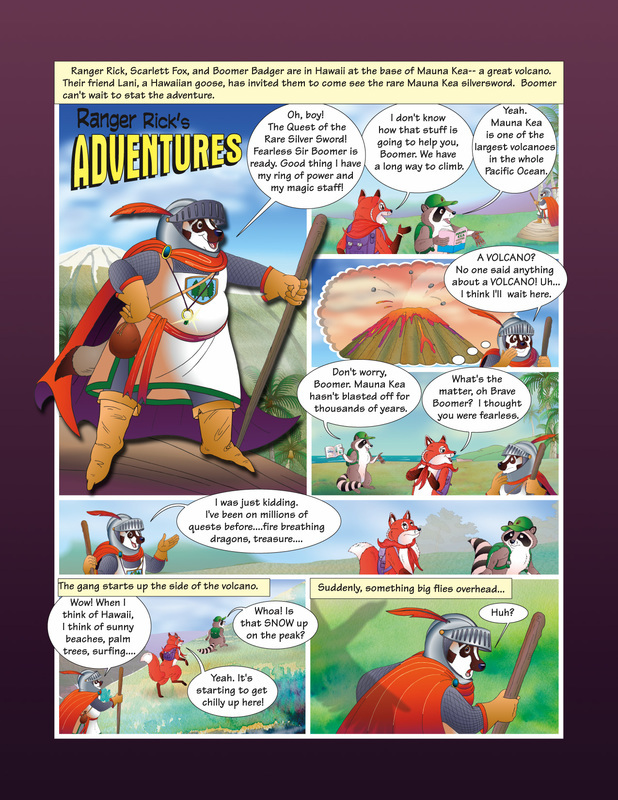 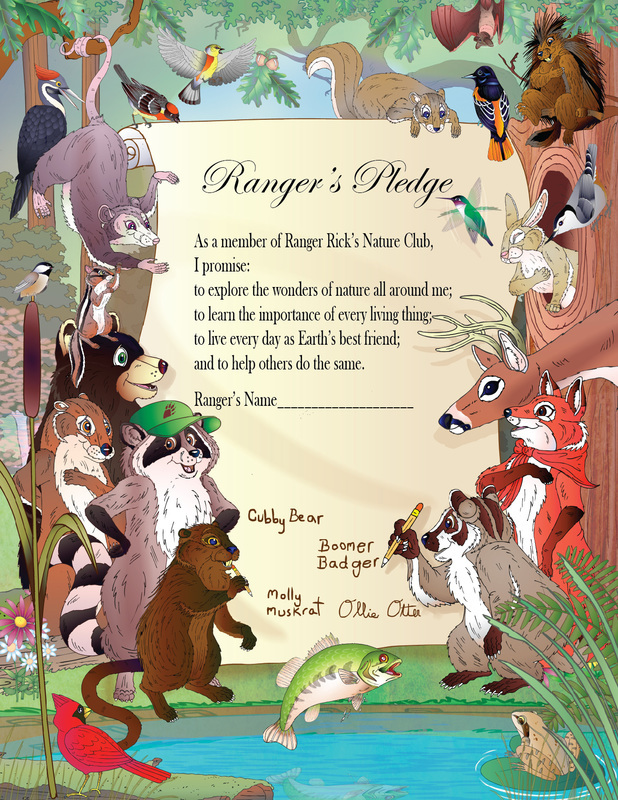 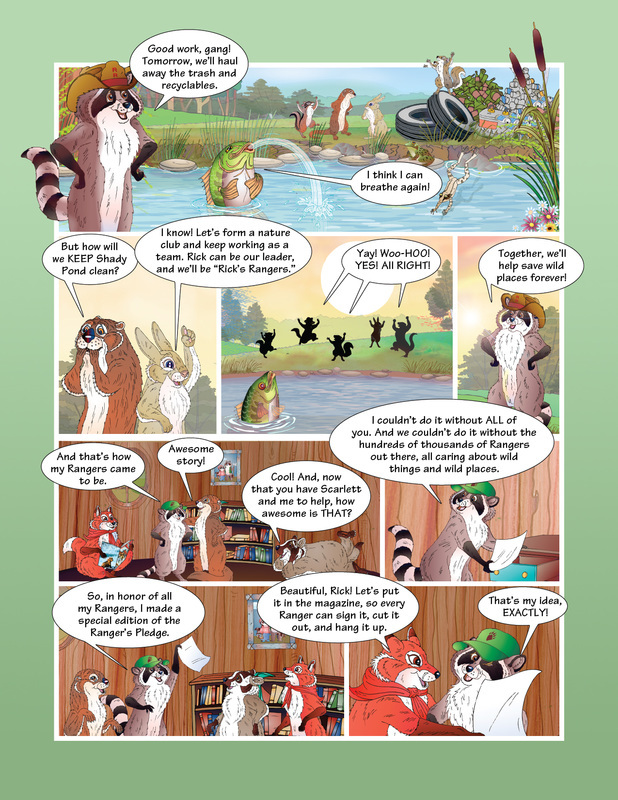 From 1999 t0 2008 I was honored to draw the monthly comic strip, "Ranger Rick's Adventures" for the National Wildlife Federation's RANGER RICK magazine. 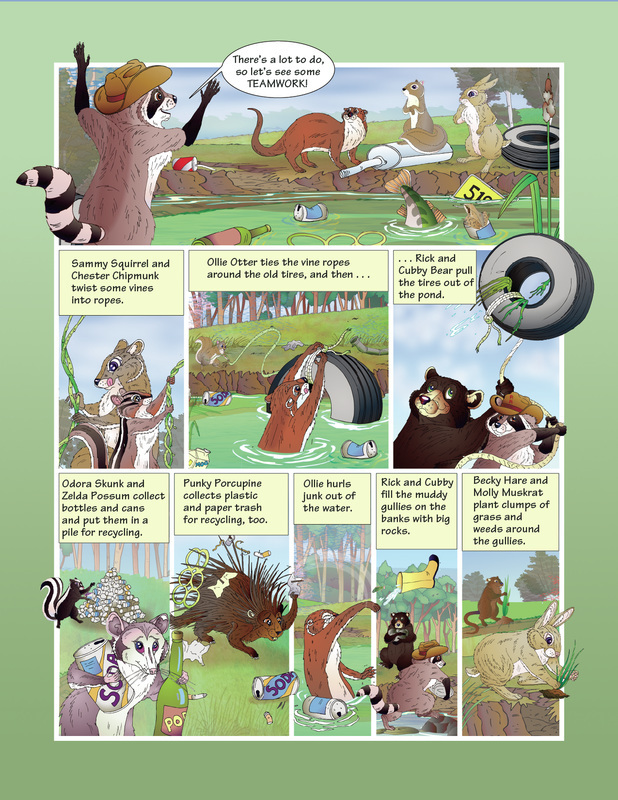 Each month, Rick and the gang taught children and families important lessons about animals, stewardship, and the environment, all subjects that are very important to me. 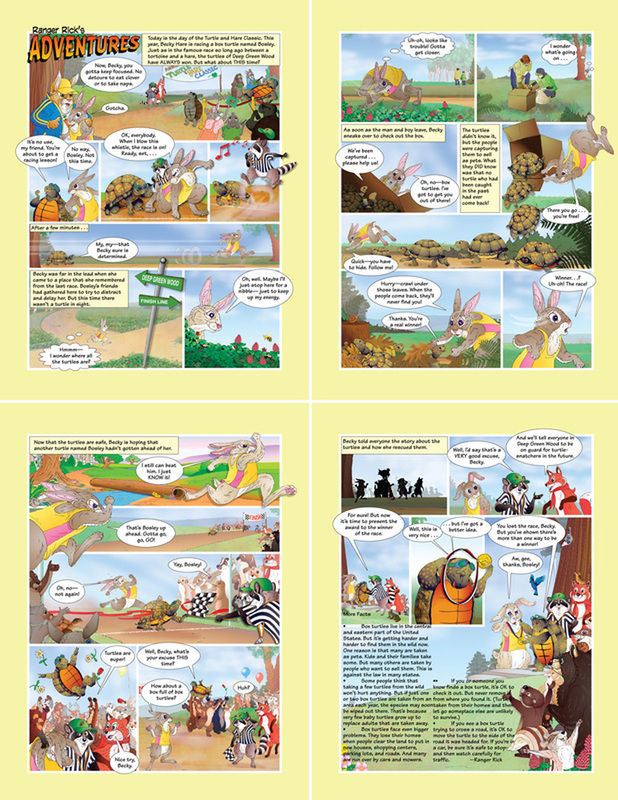 I was asked to write several of the stories, and it was during these years that I deepened my understanding of storytelling, framing, character, and narrative.